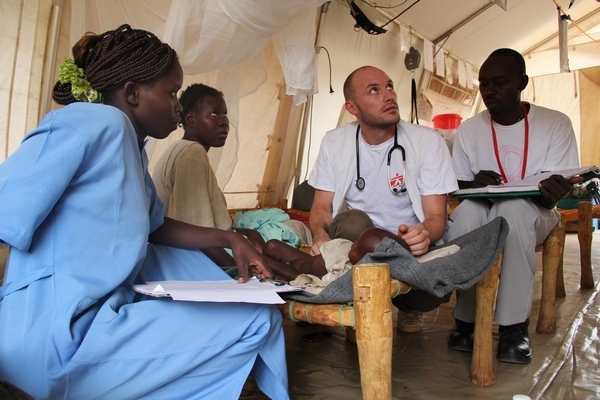 "I've been working for MSF for 17 years and in quite a number of emergencies, but I can't remember ever coming back from an emergency with the kind of lump I felt in my throat physically this time. People are in dire need"
Our teams will be able to supply Sudanese refugees at one temporary site with 2.5 liters of water per person per day. The minimum amount of water that should be allocated in refugee emergencies is 15 liters per person per day. MSF is calling on other agencies to urgently step up to supply water.